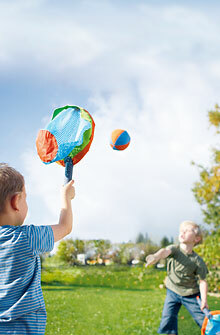 Our outdoor kid games are fun for a party and group play. The egg race is an all-time favorite outdoor child game. In PADiLLY’s egg race game, kids try to balance wooden eggs and rings and even wooden frogs on their sticks. This is a great child game for outdoors.